Does it work with gtx 1070? I have error – access violation. same as me, nvidia 560 Ti access violation. I need a tutorial to mining in solo with nvidia gtx 1070 . How do you get an account number? Do you have to find a block first? ==> could this be 4004 port blocking? Me too , GTX750Ti is Access violation. 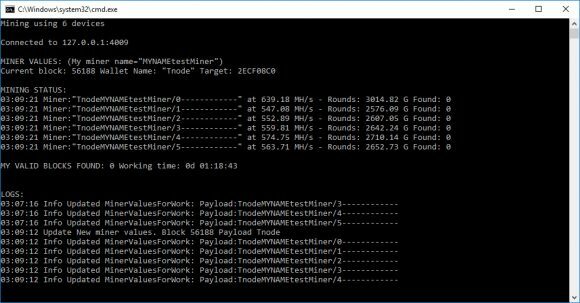 There is some old proxy miner for Nvidia, we have not tried that one yet. 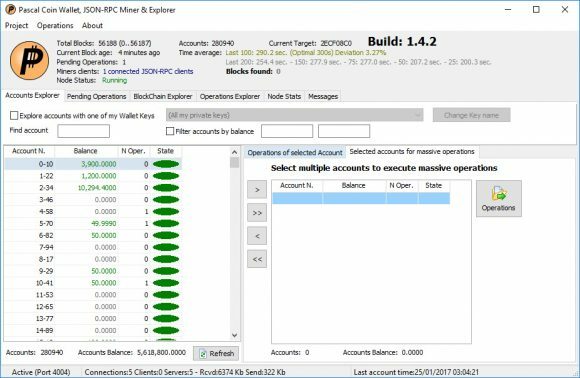 Solo mining PASC is already very hard anyway, so you might want to wait for a pool to become available and more up to date miner for Nvidia as well. Trading PascalCoin on Poloniex is already looking a lot like pump and dump scheme, so be extra careful there as well! so per 1000 mhs you would get avarage 7,89 pascalcoin per day, but you must remeber that you will get it if you find block, it depends on luck but you could expect for 1000 mhs find in 12 days … (yesterday would be in 4 days). someone says I need maturation 100, what is that and where can I learn the value now ? When you find a block solo mining you need to wait for the block confirmations before you can spend the block reward. But how long ? Blocks found after me seems to be in traffic. And where can I see this confirmation status ? The block reward needs 100 confirmation for its maturation, the average time per block is 5 minutes, so it can take something like 8-10 hours for example. How to get a account btw? only if i find a block? Yes, that is the most common way to get an account, some users are also selling accounts that are supposedly easy to remember. Could somebody clarify the calculations needed for a rough estimate how many video cards are needed to be worthwhile setting this thing up? Because if I get something like 4 days to find a block, I wouldn’t start because by the end of this 4 day period, the time needed would have grown to 20 days for example and nobody would risk mining for 20 days for a brand new hyped coin. Have in mind that 1 block is 100 coins and with solo mining you need to find a block to get any coins, solo mining is also depending a lot on luck, unlike the more stable results you can expect t get from a pool. So you only get an account if you find a block??? weird..
Is there a way to know my total mining hashrate from the wallet? I only see JSON RPC connected clients, but not hashrate. No, the wallet has no way of knowing your hashrate, only the miner shows it. How to send money from Pascal wallet to Poloniex? Where can I find this button for sending money? At this moment I don’t find block yet, but I’m interesting for future. Any way to ninja mine this coin on several computers in the background? I also get access violation error, this is ridiculous. The provided batch files also are rubbish they dont work. Even if you just have host / user /pass without special extra options it doesnt work. only the Zcash one works for me. I have to use SET instead of SETX , and also you need to put an “=” sign after setting the value. I also do not like how these utilities clear the screen or do something strange and then they dont even show information on the screen such as connection success or unsuccessful and then you did authenticate okay, stuff like that. 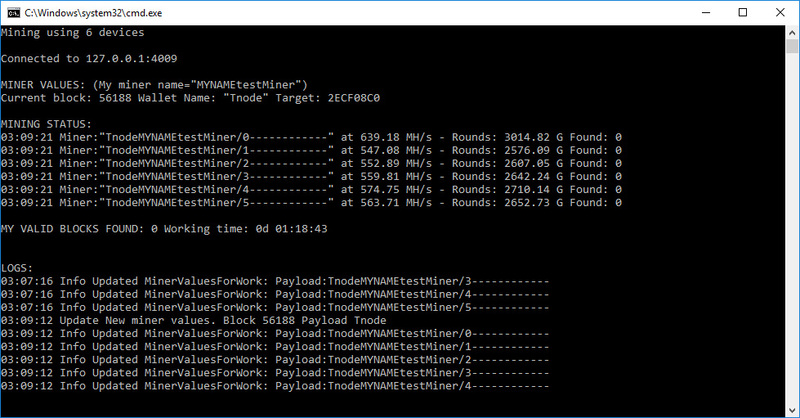 This miner is not compatible with Nvidia GPUs, try the more recent sgminer from suprnova for mining PascalCoin on NV. Hi Admin, with regards to the Batch .bat files, is there sometihng i am doing wrong? When i run the SEXT command with the provided values in the provided batch files… i then type set and then i search for the variable, i then do not see it? It would obviously only be in that DOS window….. NOT sure how SGMINER works because i notice the screen flashes or clears…. and so i do not know if it existing the shell or windows prompt with those set values? I dont know, really , this is difficuly , i dont know how to do this. I feel i am near but yet so far . SETX sets or modifies the environment variable permanently while SET does it only for the current session. Hi Admin , appreciate the replies. Okay, so tell me when i type SETX and the variable and then no = sign and then the value… it says it is successful. How do i see or confirm that this is really? when i type set | find “the elephant” it doesnt show it. Even is i type set an i just carefully read line by line, i dont see the value or variable being , i dont get it? Am i supposed to ? Thanks again about emphasizing that i need to go for a CUDA miner for Nvidia GPUs instead. Please can you give me a name of one i can , if possible. The way SETX works it does not affect the currently opened command line window, just close it and open it again and the variable set/modified with SETX should now be readable.